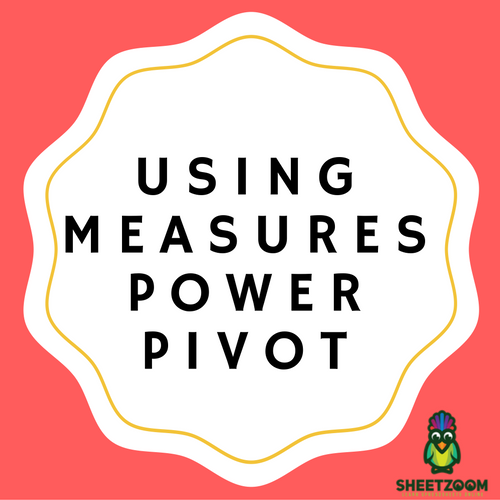 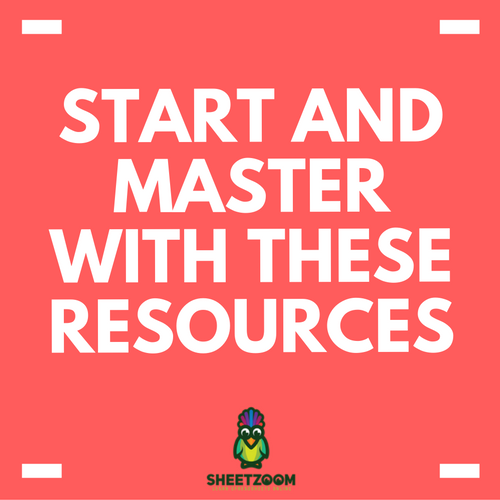 Measures is a very powerful and vital feature in Power Pivot. 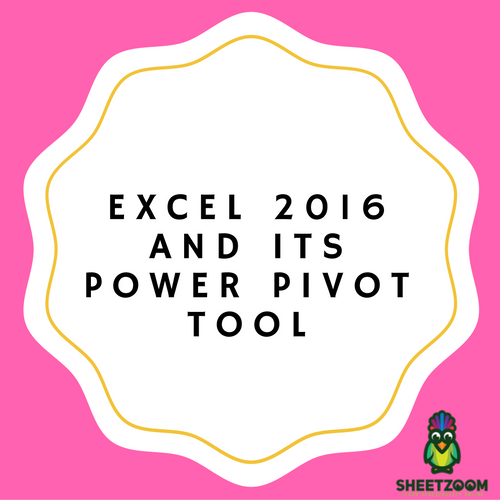 Measures are fields that have been calculated in the 2013 version of Microsoft Excel and have been included in a Pivot Table. 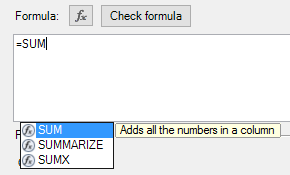 After that, you click on Table Tools, select design and then table name. 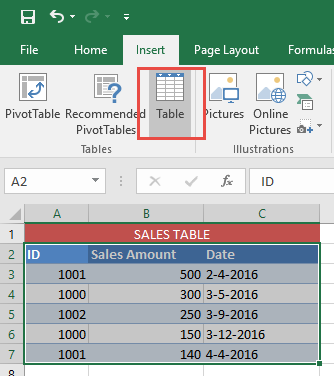 Give a name that is descriptive to the table. 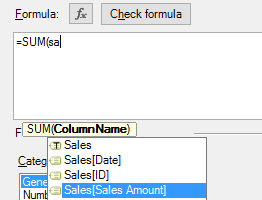 In this instance, sales will be the name we will assign to the table. 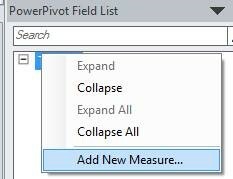 This will result in the window for Power Pivot being opened. 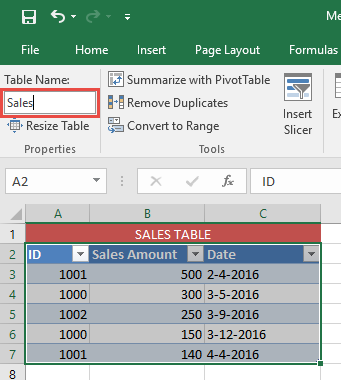 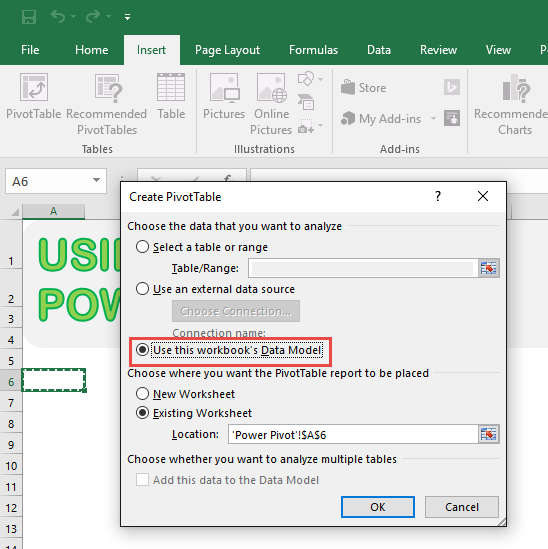 The table named sales will then be loaded to the Data Model for Power Pivot automatically. 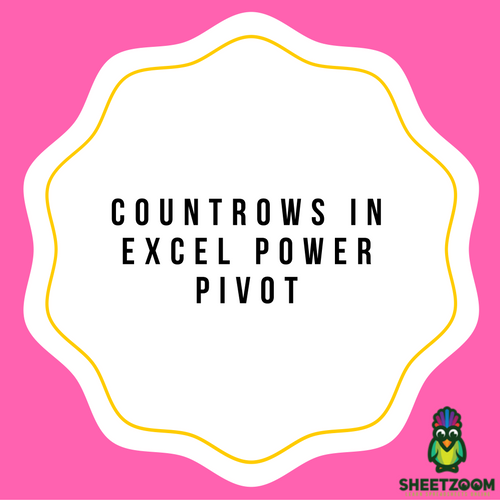 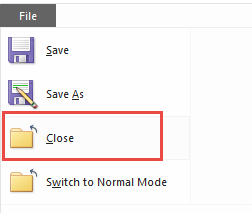 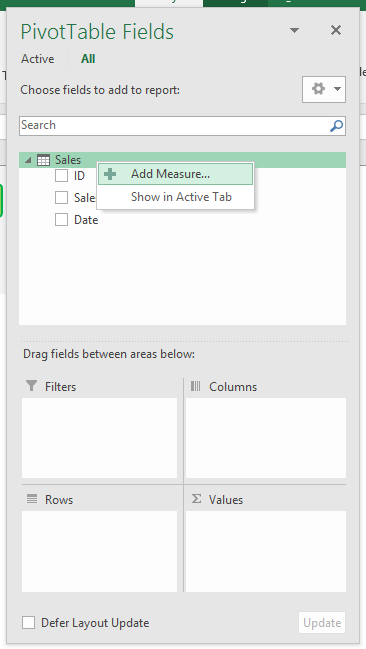 You can now close Window for Power Pivot. 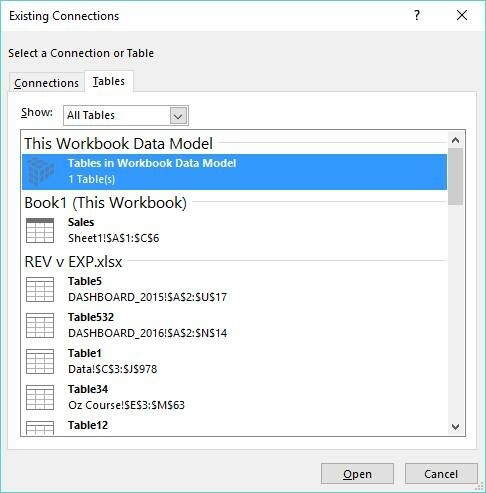 Pick the option labeled as Use this workbook’s data model. 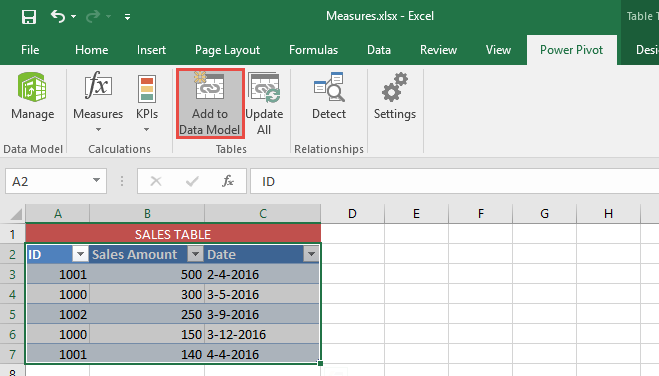 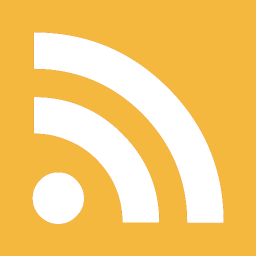 The data model that was uploaded previously will be used. 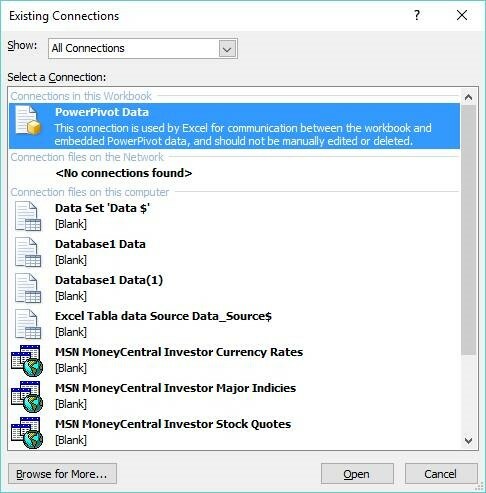 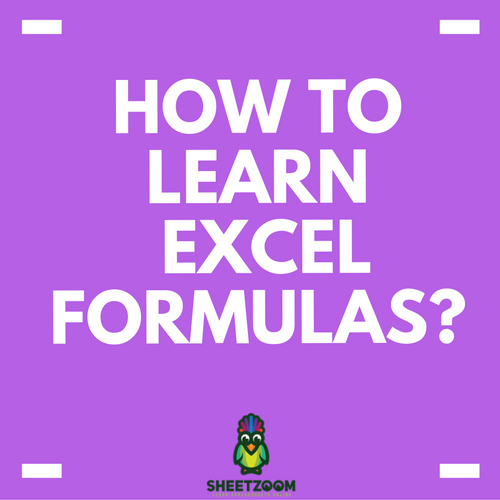 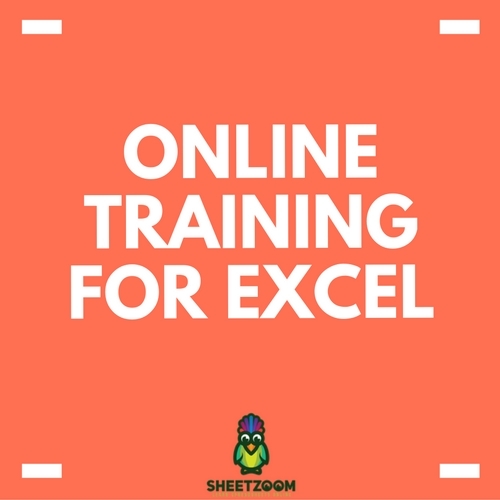 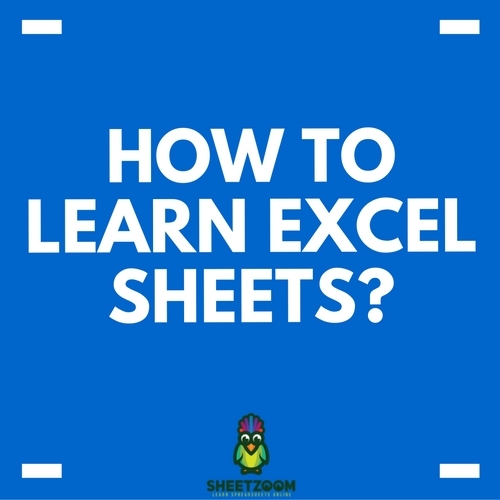 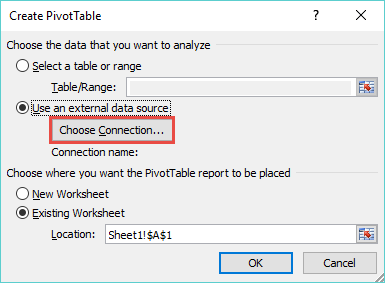 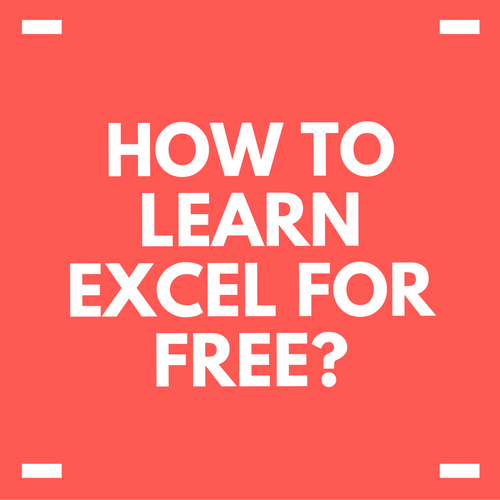 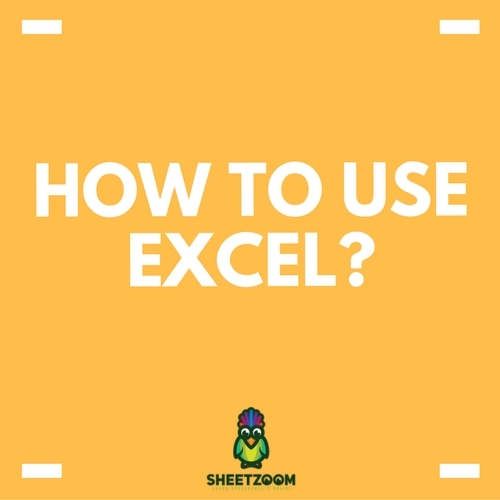 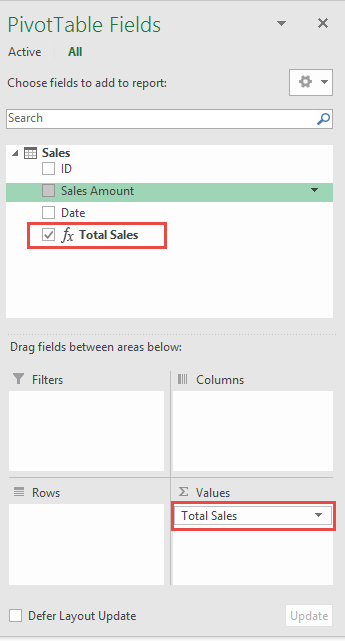 Choose the option labeled existing worksheet and select where you want the Pivot Table to be placed, and then select OK.
For the 2013 version of Microsoft Excel, choose the Power Pivot tab, click on Calculated Fields and then select new calculated Field. 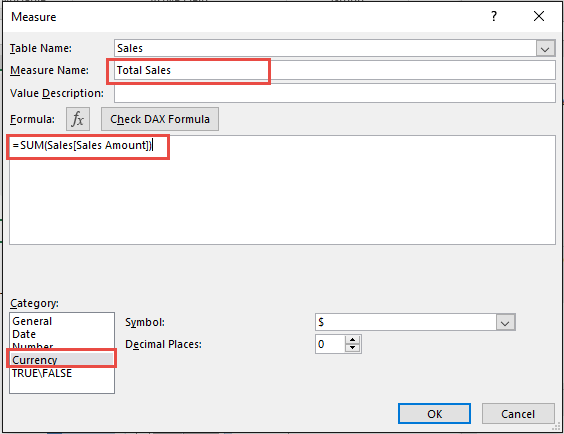 This will give you the helper for formula where you can choose Sales[Sales Amount] and then close bracket.